Hooray for Session Beer Day! What is Session Beer Day, you ask? Well, The Session Beer Project blog, tireless advocate for session beers, has put some work into creating this day. It commemorates Little Repeal Day, April 7th, the day on which 4.0% beer became legal before the full repeal of Prohibition. What is a session beer? 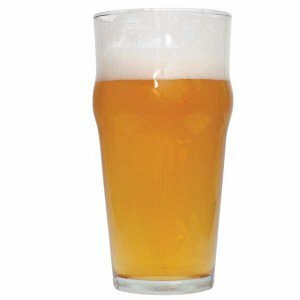 A session beer is a low alcohol, flavorful beer that you can enjoy more than one of. Session Beer Day is defining it as a beer under 4.5% alcohol. - Substitute 8 lbs of domestic base malt for the Gold malt syrup and adjust the 60″ hop addition to yield a recipe grand total of 40-45 IBUs.